If you are looking to change your current lifestyle and start an internet business to help you do just that, then the free video series offered by Stuart Ross in the video below will help you. Many of us, me included, want to have more time and financial freedom than what the traditional day job provides. I took a step back in 2006 to make this a reality by quitting my corporate legal job, building a property portfolio and subsequently starting an internet business from home. Stuart Ross’s video series and this post could be exactly what you are looking for and where it all starts to change for you. Now, what needs to be made clear at the outset is that, as a long standing member of Stuart’s digital business training platform, what is being offered here will take a lot of hard work to get going and some investment. So if that isn’t for you, then this copy or opportunity is not for you. However, if you are of an entrepreneurial mindset and looking for a new challenge and you will invest in your education where you can learn some new skills that will enable you to profit in this digital economy – then please read on. My name is Mark Ford and, as well as being a home business coach, I also run an online business and have done so for many years. I have worked from home for 20 years plus, initially as an entertainment agent, then a property investor and now full time online business owner acting as a liaison officer and coach to some of Stuart Ross’s top students. I have learnt what works and what doesn’t and having worked with many internet business owners worldwide can offer to support you should you choose to go forward with Stuart Ross’s online business training program and digital skills platform. 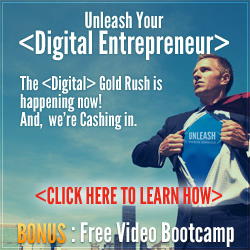 My personal internet business mentors are Stuart Ross and Jay Kubassek, who I have met personally many times since 2011, and who are both very successful digital entrepreneurs. My back story which you can learn more about over at http://markfordsblog.com helps me have empathy with people’s personal circumstances and reasons why they would be considering using Stuart’s business as a solution to change their lifestyle. I work with Stuart and Jay weekly, and one of my own reasons to be an Elite member and coach for Stuart Ross and Jay Kubassek’s online business community is to help individuals, baby boomers or anyone who has a reason to want to work from home and create a lifestyle by design, escape the 9-5 rat race and learn the skills required to be a successful online entrepreneur. As a result of that, Stuart Ross and Jay Kubassek have spent hundreds of thousands of dollars on their internet business training companies infrastructure. I enjoy helping people transition to the digital economy because it offers so much more freedom and flexibility compared to a traditional business or job. 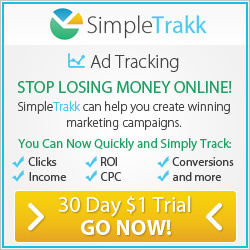 Over the years, they have helped hundreds of people to quit their jobs and become successful online marketers. meaning, they often have more money, more time and more passion than ever before. By signing up to the video series Stuart Ross offers you the chance to learn his business model, leverage his online business training, marketing products, his teams and exclusive private community. 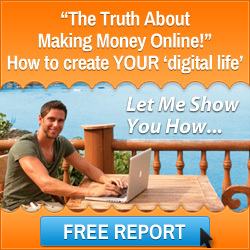 If you have the right mindset then what Stuart and Jay have created is very much a win-win internet business model. It has certainly helped Mark Ford transition away from the traditional economy and get a job conditioning that is drummed into us by so many. On offer are a range of educational products, events and coaching programs. These range from online videos, live webinars, live workshop/seminars, one-on-one mentorship training and even franchise-like partnerships. The result of following through with this training is you will gain the potential to write your own pay check from anywhere in the world. As long as you have a laptop and Internet connection. In other words, you work towards freedom! Anyway, the point of this is that new students are being accepted. 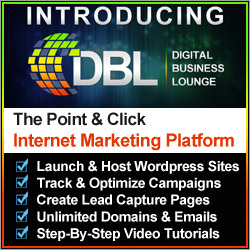 Check out the complimentary internet business training video series here. And don’t forget that this will require an investment of your time on an ongoing basis to go through the training. Only apply if you are serious about making a change in your lifestyle and you have the right work ethic. I wish you every success in starting your internet business. Thought for the day: you can start an internet business but stay for the long term and make your dreams about changing your life become a reality after working through the steep learning curve! This entry was posted in Internet Marketing, Stuart Ross and tagged start internet business, stuart ross. Bookmark the permalink.